A lot has been written about the British Women’s Temperance Association and especially past presidents such as Lady Henry Somerset and Rosalind, Countess of Carlisle. But there is a whole other organisation which is also a predecessor to White Ribbon Association, and the women involved and the organisation itself have been somewhat overlooked. One such woman is Mary Docwra, who was involved with the British Women’s Temperance Association (BWTA) from the very beginning. The BWTA was the first national women’s organisation of its kind in Britain. It was founded in 1876 after a women’s temperance meeting was held in Newcastle-upon-Tyne. Mary Docwra was involved right from the beginning – in the minutes of that very first meeting, she is listed as someone who is available as a temperance speaker (as is her sister, Lucy Docwra). A branch of the BWTA was set up in her home town of Kelvedon – her mother (also a Mary Docwra!) was president of this branch for many years. At first, Mary Docwra (the younger) mostly represented the Kelvedon branch at national meetings, where she would often support resolutions, make suggestions and get involved. At the 1879 annual meeting, Mary Docwra spoke about the need for a temperance cookery book as many books and traditions relied on alcohol in cooking of all sorts. I’m not sure it was her intention, but this turned into a project that lasted several months and brought her more and more into the running of the national organisation! The suggestion of a temperance cookery book was greeted enthusiastically. The actual work of compiling and publishing a temperance cookery book was greeted with a little less enthusiasm (although many people did send along a recipe or two). Docwra compiled the cookery book from May to October of 1879, and then spent several more months working on alterations, getting the book published and advertising. 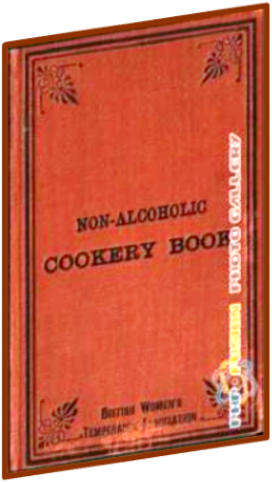 The Temperance Cookery Book (later known as The Non-Alcoholic Cookery Book) was published in March 1880, costing around 5 shillings, and had sold out by the end of April! The business of producing the cookery book meant that Mary Docwra worked closely with the executive committee who ran the BWTA. During this period she also began speaking at BWTA meetings and conferences and generally increased her involvement with the national organisation. Come the annual meeting of 1880, Mary Docwra proposed that the BWTA should print a small monthly periodical. The other delegates were again very enthusiastic and as a result, Docwra wrote a resolution instructing the executive committee to investigate the costs and practicalities of producing this periodical and for local branches to commit enough for it to be a worthwhile project. The outcome of the investigation was evidently favourable; the British Women’s Temperance Journal commenced publication in 1883. The British Women’s Temperance Journal changed its name to Wings in the late 1880s. The periodical has since gone through a few different name changes over the years and is currently known as White Ribbon Magazine! The 1880s were a time of growth for the BWTA. Their membership steadily increased and branches popped up all over the country. 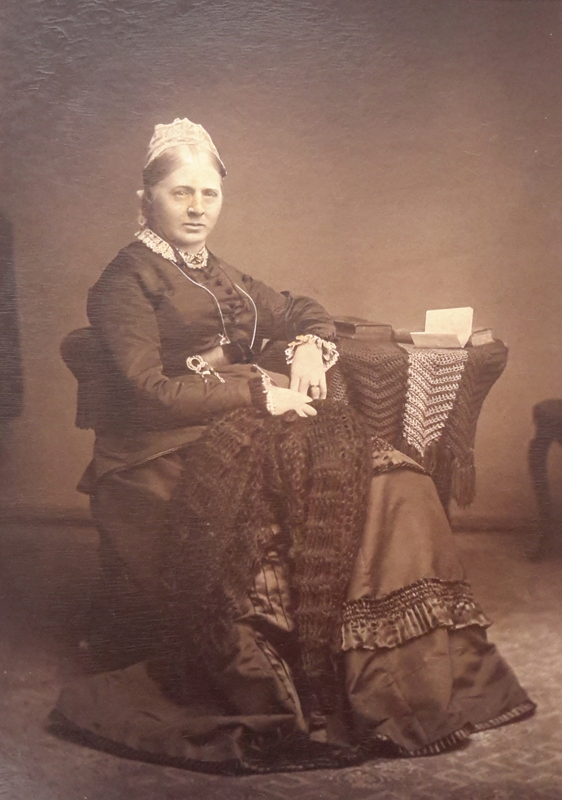 The president of the BWTA from 1879 – 1890 was Margaret Bright Lucas; the BWTA administered the Lucas Endowment Fund which gave money for temperance work by women, amongst women. They also began to publish pamphlets including two written by Mary Docwra: ‘The BWTA: what it is, what it has done and what it still has to do’ and ‘How women can assist local and imperial legislation’. Docwra was honorary secretary of the BWTA legislative sub-committee and played a big part in making politics a part of the BWTA’s temperance work. Passionate about politics herself, she was involved with the Liberal party for much of her adult life. In 1890, the long-standing president of the BWTA, Margaret Bright Lucas, died. Lady Henry Somerset was elected to the presidency of the organisation later that year. She was new to the BWTA, but they highly valued well known or titled ladies for the presidency. Margaret Bright Lucas was from a well-known political family; Lady Henry was becoming publically active again (after being absent from the public eye for some years due to a scandal involving her now estranged husband. The transition from one president to the next did not go smoothly. The women who made up the (elected) committee that ran the BWTA carried on as normal but soon collided with the new president, who was full of enthusiasm for new projects but low on tact (and expected other people to complete the new projects). Things did not go smoothly for the next few years – Lady Henry was away for long periods of time and when she visited the USA, she became enamoured of the American women’s temperance movement and in particular, one of its leaders, Frances Willard. In 1892, Lady Henry declared that the BWTA should adopt the American “do-everything” policy – working not just for temperance but for all sorts of other causes. Subsequently, the leaders and members of the BWTA spent the next year arguing about the issue. Docwra and the other committee members were against “do-everything” for a variety of reasons: they prioritised temperance, they feared the American way would be ineffective, they thought moving into different areas of work (such as suffrage) would end up excluding some women from associating with the BWTA (some women were from Conservative families and the proposals had the BWTA becoming more explicitly Liberal) and, possibly, they just no longer wanted to work or get along with Lady Henry. After a heated AGM in 1893, Mary Docwra and many of the women who had previously run the BWTA departed the organisation. Some formed the Women’s Total Abstinence Union (WTAU). Lady Henry and her supporters continued as the NBWTA (adding “National” to the BWTA’s title). Some branches exited the BWTA and didn’t join either national organisation (including all of the Irish branches). Setting up Bands of Hope (children’s temperance groups) in workhouses and institutions. Petitioning Boards of Guardians at workhouses not to serve beer/alcohol. Opposing licenses for the sale of alcohol. Sending literature to doctors and other medical establishments about the harm alcohol could do (alcohol was still prescribed by some doctors as a stimulant). Holding meetings for various groups including travelling showmen, laundry workers and mothers. The WTAU also particularly reached out to women who worked. They had leagues for deaconesses, laundresses, nurses and teachers affiliated with the union. There were also leagues for mothers, babies, children and working girls. The women of the WTAU continued to work diligently for the temperance cause and the organisation continued along these lines until the outbreak of World War One. World War One changed how the WTAU operated. They continued to carry out temperance work but also focused on the war effort. They continued to employ local organisers to form temperance groups around the country but began to run cottage meetings for soldiers’ families as well as running entertainment such as garden parties. They set up club rooms for soldiers and for women war workers, and provided refreshments for wounded soldiers and troops passing through stations around the country. They also held sewing parties to make clothes for war victims. Many WTAU women volunteered in YMCA refreshment huts (which provided for troops and war workers all over the country) and at baby welfare clinics. After the war, the work of the WTAU continued but no longer had the same impetus. Faced with declining membership and a lack of leadership, the WTAU approached the NBWTA about reunification – this was completed in 1925. The reunified organisation was known as the NBWTAU – the National British Women’s Total Abstinence Union – and although the organisation continued to operate in the same way, the peak of the temperance movement had passed. What shall we say of you? The April 1914 issue contained her obituary, and it was clear that she was a huge loss to the organisation. She was chairman of the executive board from 1893 – 1914 except for the years she was president, and was essential in keeping the WTAU going – her enthusiasm and encouragement seem to have buoyed them. It’s also obvious from the tributes that were published that she had a huge amount of knowledge about temperance and legislation – so with her death the WTAU seems to have lost both the heart and the brains of the organisation.